Our friends at Arkansas Right to Life will host a special screening of the movie “Gosnell: The Trial America’s Biggest Serial Killer” on Thursday, September 27, at the Riverdale 10 VIP Cinema in Little Rock at 7:00 PM. The movie follows the arrest and prosecution of Philadelphia abortionist Dr. Kermit Gosnell who was convicted in 2013 of murdering babies born alive following botched abortion procedures. The grand jury report in his case cited horrific conditions–including blood-stained medical records, insufficiently-trained staff members, and a complete lack of organization–at Gosnell’s clinic. The movie is scheduled to hit theaters in October, and it is rated PG-13 for mature thematic content including disturbing images and descriptions. However the film itself is not graphic. Tickets for this sneak preview are $10 each, and they are available online at riverdale10.com. This special screening hosted by Arkansas Right to Life is co-sponsored by The Dave Elswick Show 101.1 FM The Answer. Ann McElhinney, the film’s producer and author of the book Gosnell: The Untold Story of America’s Most Prolific Serial Killer, will be a special guest at this screening and will give a brief presentation before the movie starts. I hope you can make plans to attend this event. 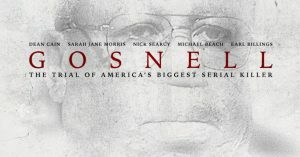 You can watch a preview of the movie below, and you can learn more about the film at GosnellMovie.com. Little Rock, Ark. 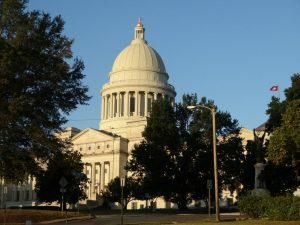 — On Friday Family Council published its Pro-Life Champions 2018 list highlighting past and present elected officials who have championed pro-life legislation in Arkansas over the past five years. Family Council is a conservative education and research organization based in Little Rock. Read the Pro-Life Champions 2018 list here.